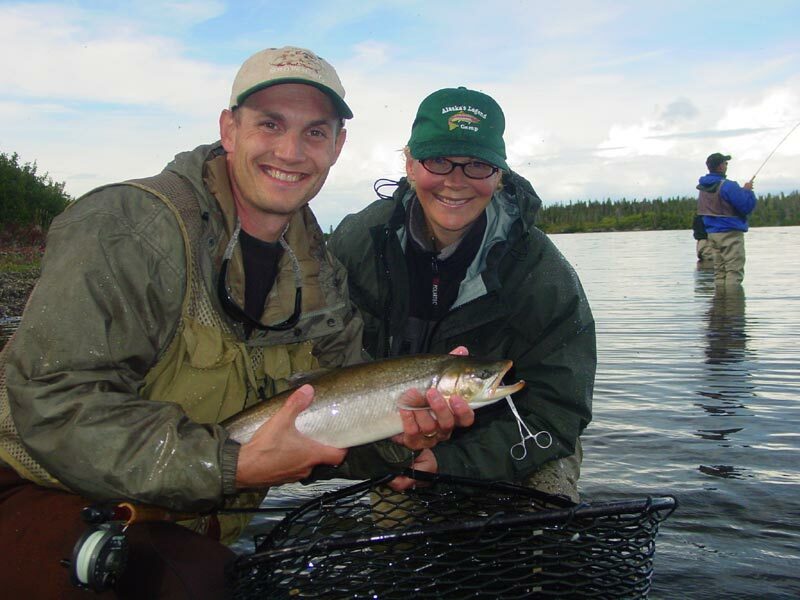 Alaska's Legend Lodge is in Intricate Bay in the southeast portion of 90 mile-long Lake Iliamna, the largest lake in Alaska. 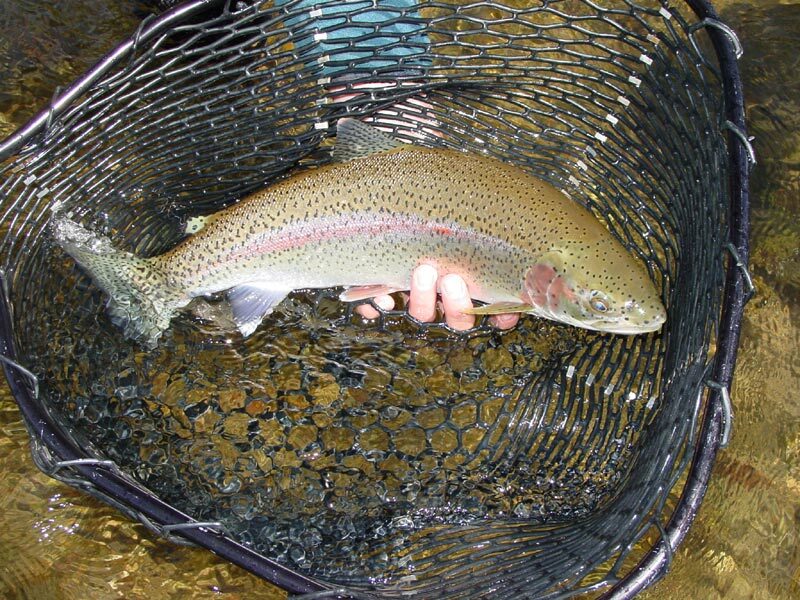 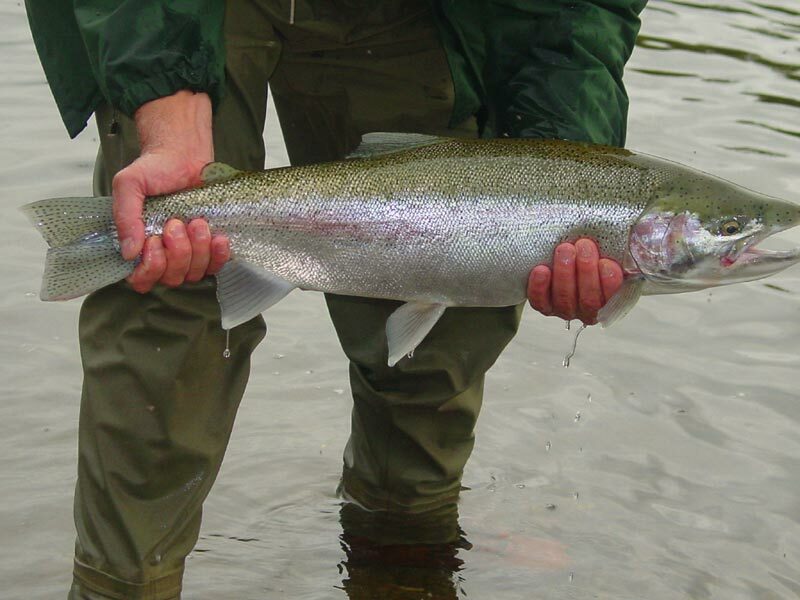 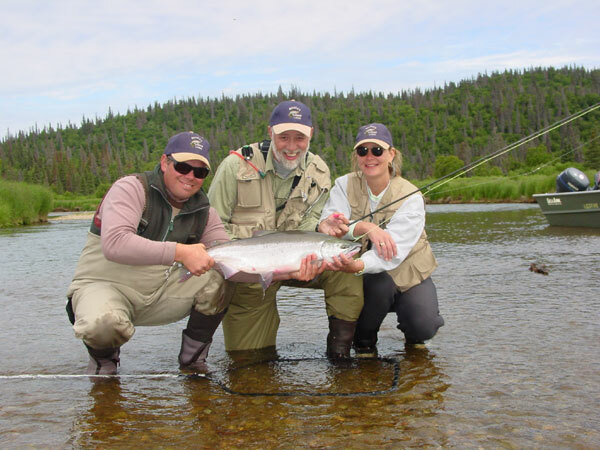 Nearby rivers offered us some of the world's best fishing for huge rainbow trout. 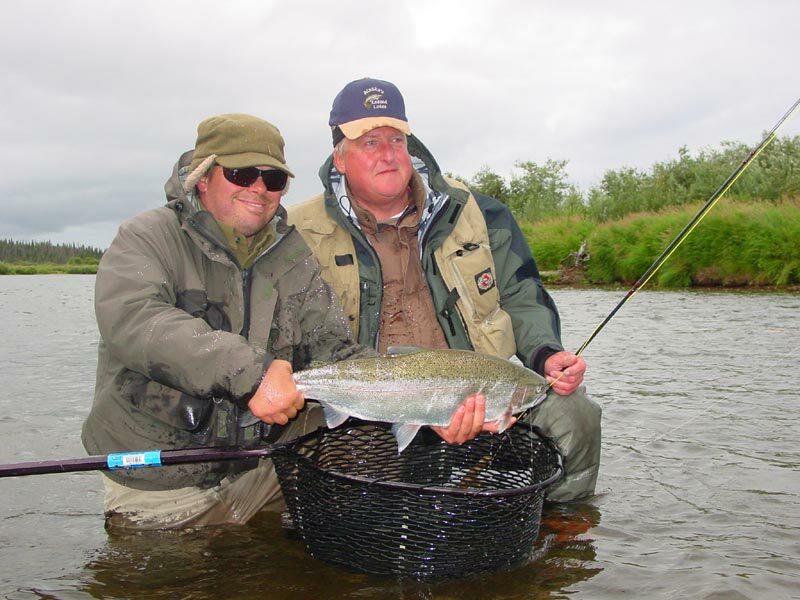 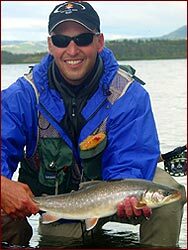 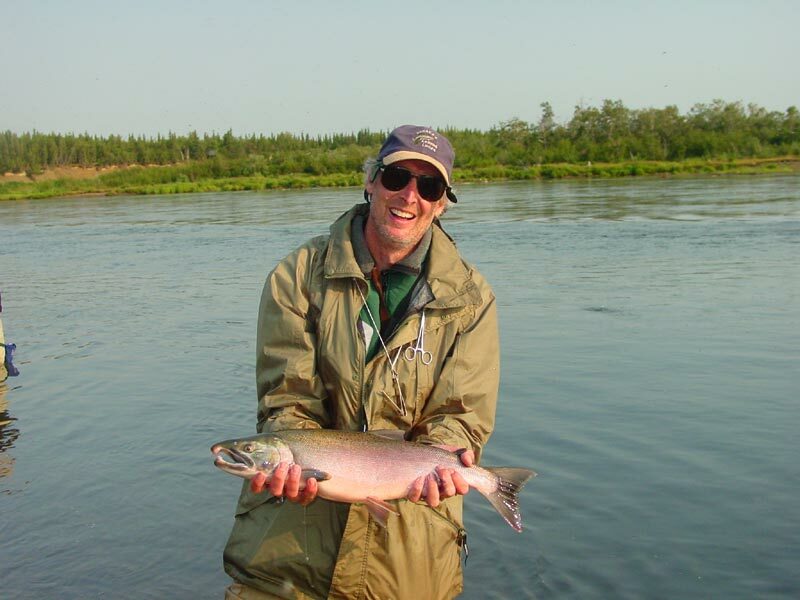 We also enjoyed superb fishing for sockeye salmon and Arctic char during a trip late last August. And fly-out day trips took us to trophy lake trout, grayling, and pike. 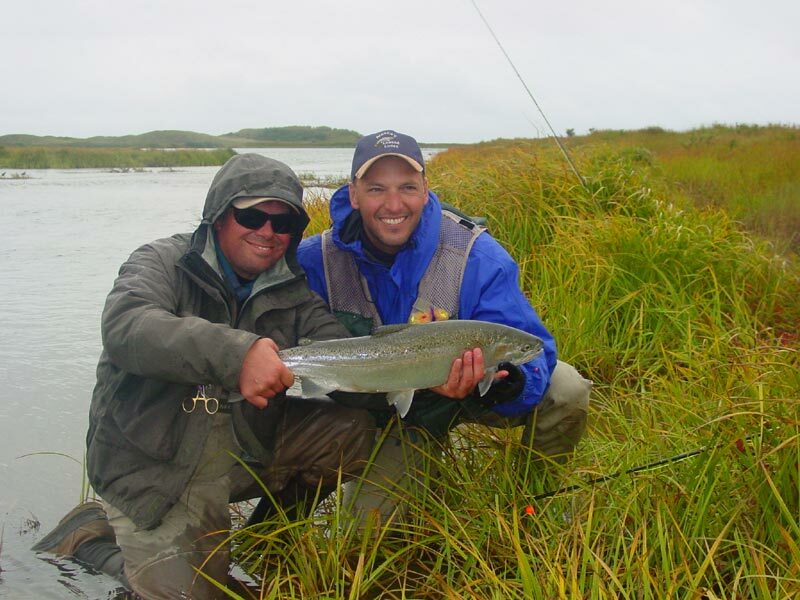 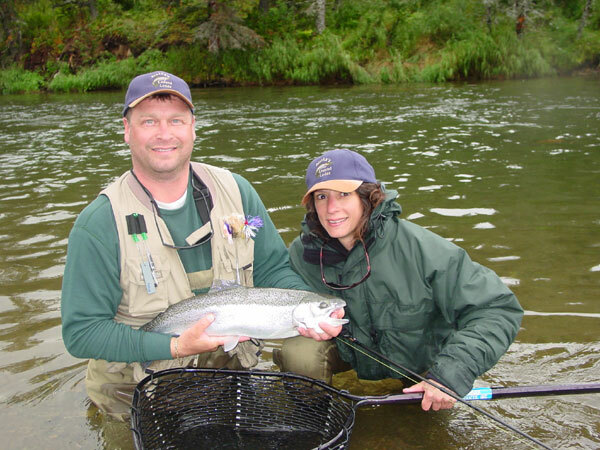 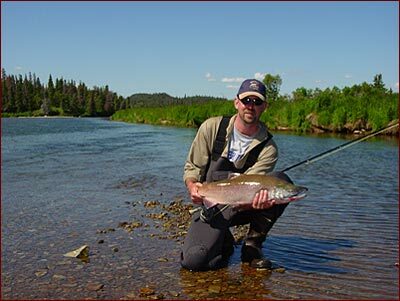 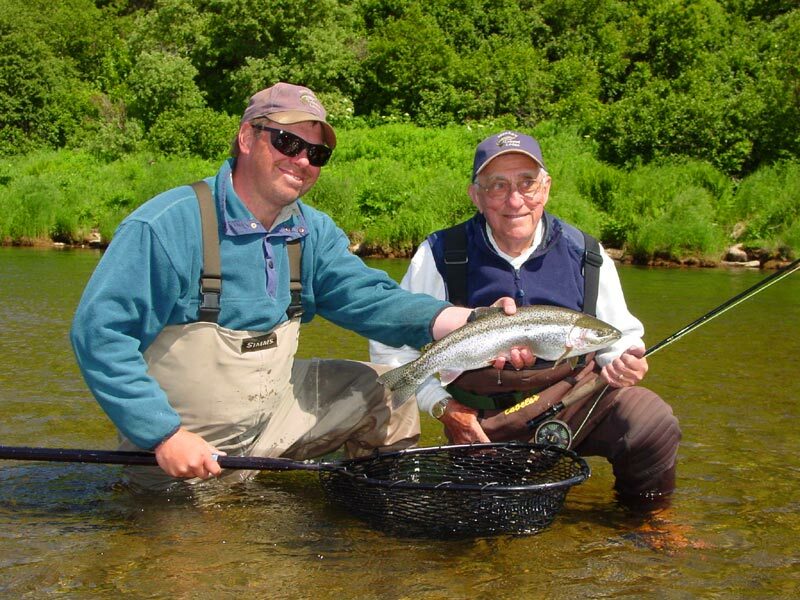 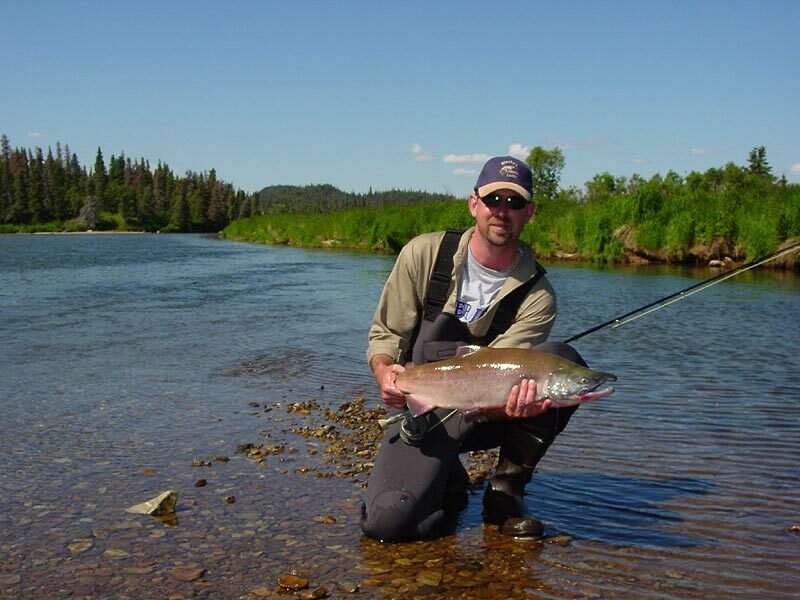 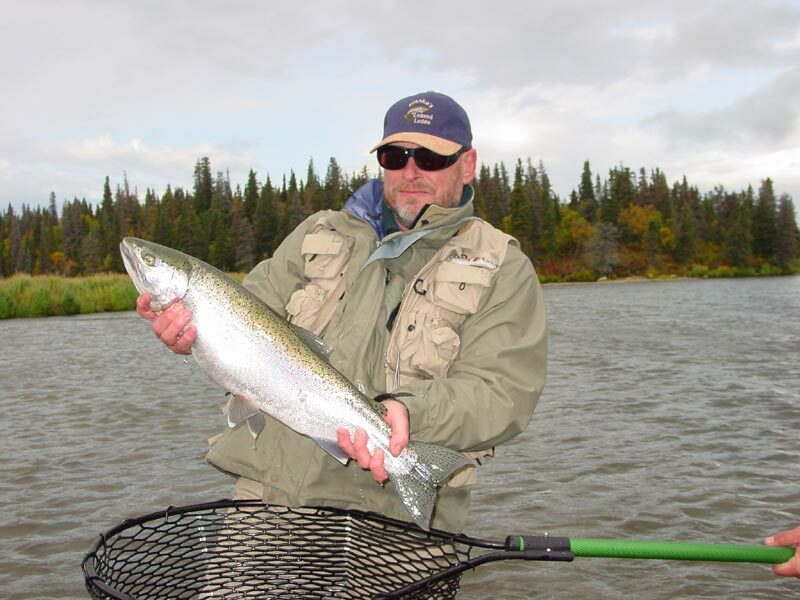 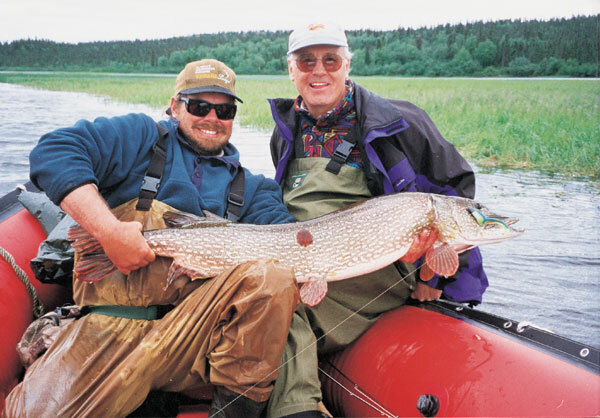 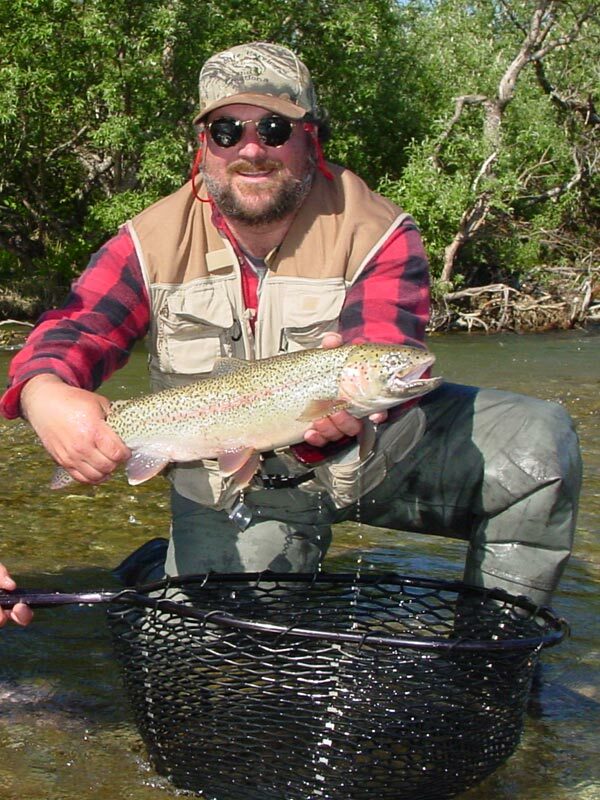 Legend Lodge offers the option to fish nearby rivers. 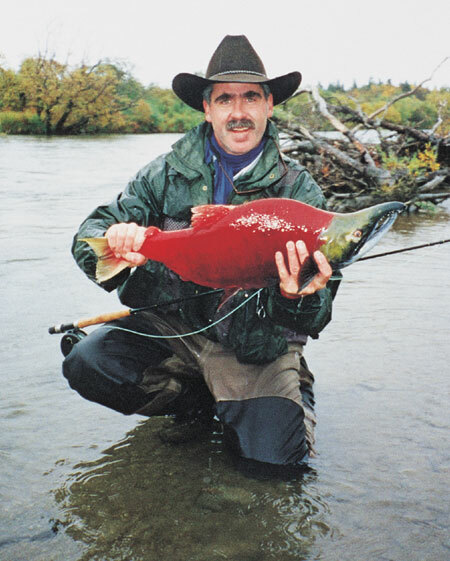 You're never limited to one river when the bite goes bad, and you don't have to contend with competition, except from the occasional bear bent on a meal of salmon. 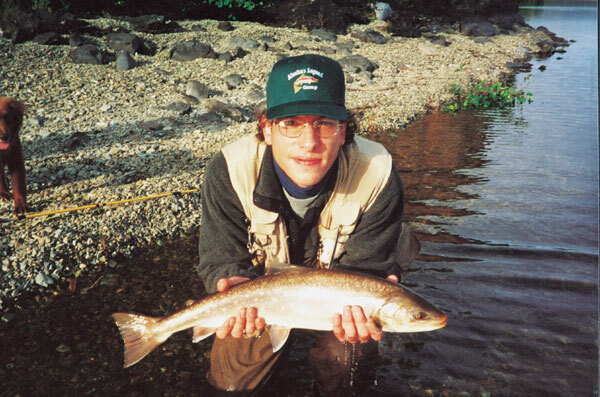 Lake Iliamna hosts a rare population of freshwater seals, which are fun to watch. 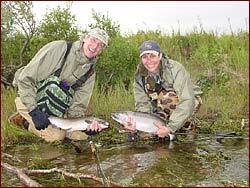 The scenery's incredible, the lodging's comfortable, and the meals superb. 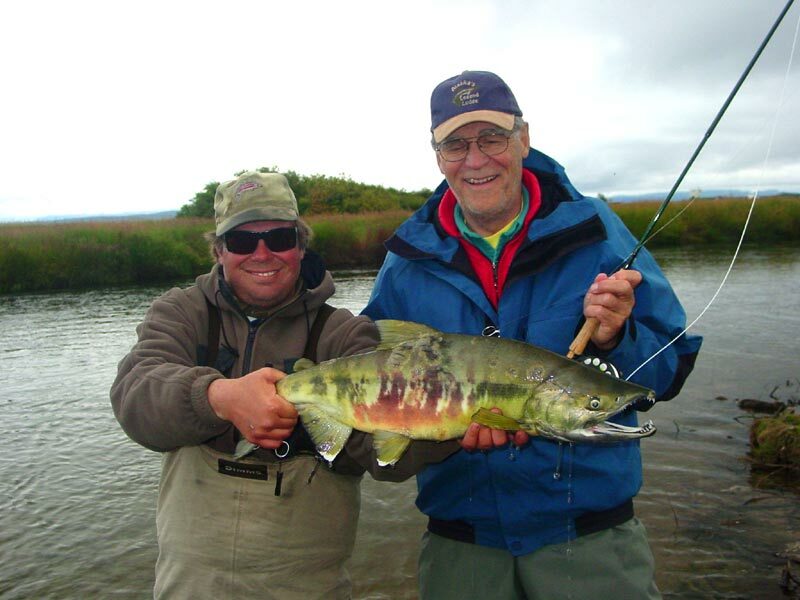 Contact: Jack Johnson, Anchorage, Alaska, 907-571-1740 (summer) or 218/586-3313 (winter).